Over the last few years, tourism companies and professionals have been able to reinvent themselves and offer an informed public a wide range of multilingual products and services, partly thanks to their partnerships with tourism translation agencies: wine tourism, photographic safaris, trekking, eco-tourism, adventure routes, balloon rides, food tastings… The tourism offer is diverse and tempting, irresistible for the thousands of customers who wish to have different experiences during their holidays and weekends all over the world. Tourism companies must break the language barrier and, thanks to their partnerships with companies that specialise in tourism translation, they reach customers all over the world, offering their activities through the Internet. Translating a menu, a list of services, a leaflet, a map of a leisure centre, or a complaint form is a tiny investment in comparison to the daily expenses of an operating company. “I’ve had the chance to work with Okodia – Translation Group on several projects, always with optimal results. Personalised, permanent customer service. In particular, I would like to highlight the effectiveness of their team and the quality of the translations, which were always very good and delivered on schedule, with no delays”. These are the benefits you obtain when you entrust an agency specialising in tourism translations with your translation. Did you know that more than 72% of consumers prefer to buy products or services that come in their own language? And that 62% say that obtaining information in their own language is more important than the product price? (Data taken from the report by the company Common Sense Advisory). Tourism promotion catalogues (printed and digital) are among the materials most frequently requested by tourists from all over the world who wish to know exactly where they are and which points of interest they should visit. These tourism information catalogues must be translated into your clients’ languages rigorously and with a high level of quality, as they constitute one of the main tools in the tourism industry. 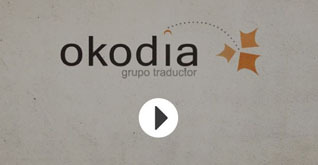 The Okodia – Translation Group team has localised and translated tourism information catalogues for many years: from digital supports such as websites, knowledge games, interactive mapping, audio guides, tourism apps, etc. to printed matter such as books, leaflets, signs, etc. The tourism industry companies and professionals that entrust us with their translations include, among others, hotels and country houses, museums and environmental centres, car rental agencies, etc. Over the last few years there has been a boom in tourism apps for smartphones. These apps make suggestions about restaurants, currency exchange and route planning, and have become a must for tourists everywhere. At Okodia – Translation Group, we work not only with developers of this type of technology, but also with their partners or clients. We help tourism companies to locate their apps to increase their corporate reputation and potential scope by the thousand. What is the French translation of “bubble and squeak”? What about “toad-n the hole”? How do you translate “Welsh rarebit” into German? And what’s the Spanish for “bangers and mash”? Translating a restaurant menus is complex, serious work that should be carried out by a translator specialising in catering and gastronomy, as this type of translation requires being fluent in the target language, performing a previous localisation process and of course being familiar with the local food. Restaurants have good weapons to stand out from their competition: high quality dishes, a cosy establishment, exquisite customer service, and, most importantly, their good reputation. Given that the first impression is most often the one that counts – what menu will you be showing your international customers? Do you want to provide your international customers with excellent service?Talk with us.